A Portlandia restaurant called The Rocking Frog Cafe pays tribute to Ursula Le Guin, Ray Bradbury and other writers with food items named for them. My favorite coffeeshop so far has been the Rocking Frog, with their great vegan “Bradbury” sandwich. Ray would have appreciated the honor even though his culinary preferences would have led him to order something else – or so a reliable informant tells me. This entry was posted in Skiffy and tagged Ray Bradbury, Ursula K. Le Guin by Mike Glyer. Bookmark the permalink. Shouldn’t Dante be served with hot pepper? The only thing on the Bradbury sandwich that Ray would eat are the onions. If only it was a Korean boshintang restaurant, it could actually have sad puppies on the menu. 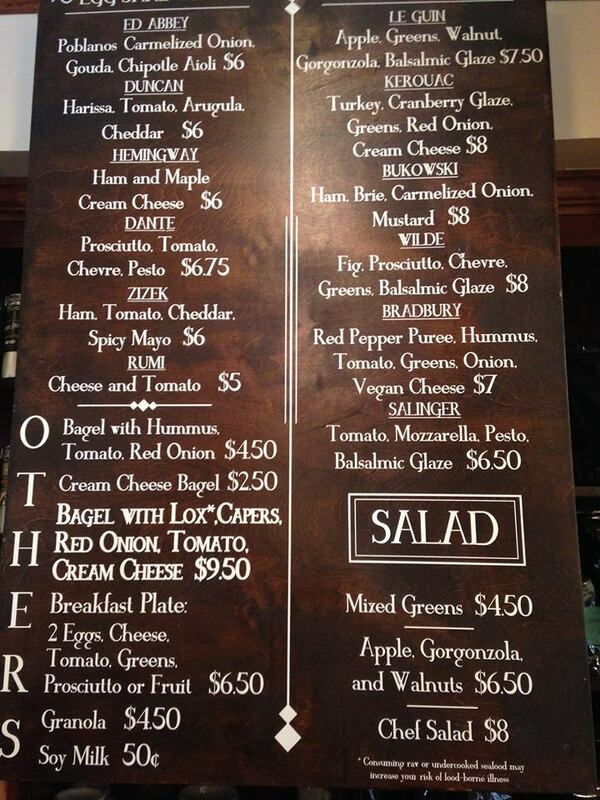 PS: I’m betting Ray would have ordered the “Kerouac”, with dandelion greens.